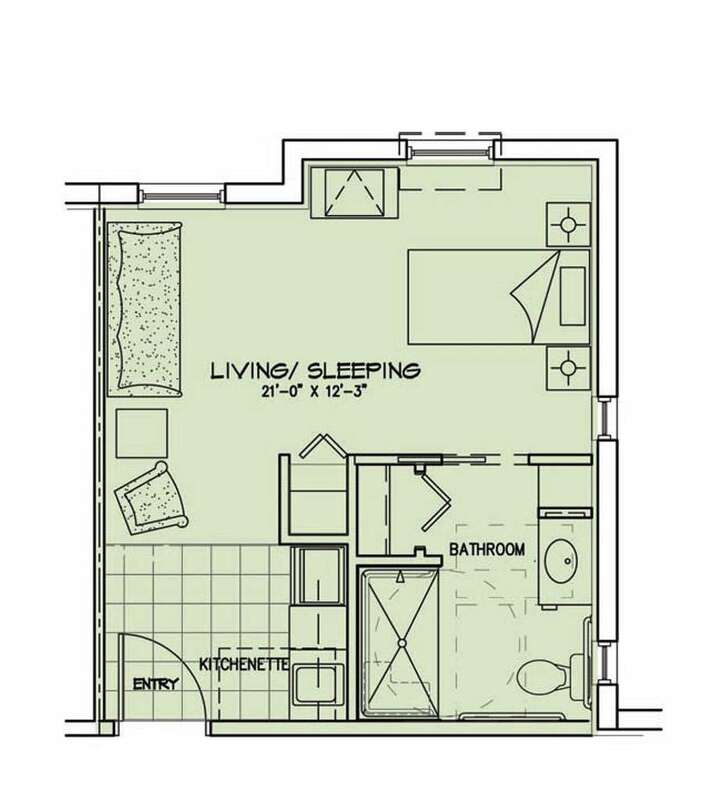 Our residents enjoy spacious floorplans designed for ultimate comfort and safety. Whether you need a studio suite, a two bedroom suite or a Memory Care suite, we have a variety of attractive apartments to choose from that can be personalized for that true “at home” feeling. For more information, including pricing, please contact our administrator, Randy Kelly, at 772-209-3119. If you’re searching for a room for two, look no further than our semi-private Pelican Suite. With 433 square feet of comfortable living space, the Pelican Suite has a shared kitchenette and bathroom, complete with walk-in bathtub and handrails, and two semi-private living and sleeping areas with ample closet space. There’s plenty of room in this two bedroom, 505 square foot semi-private suite, complete with a shared kitchenette and bathroomwith walk-in tub and handrails, two semi-private living/sleeping areas, and plenty of storage space. 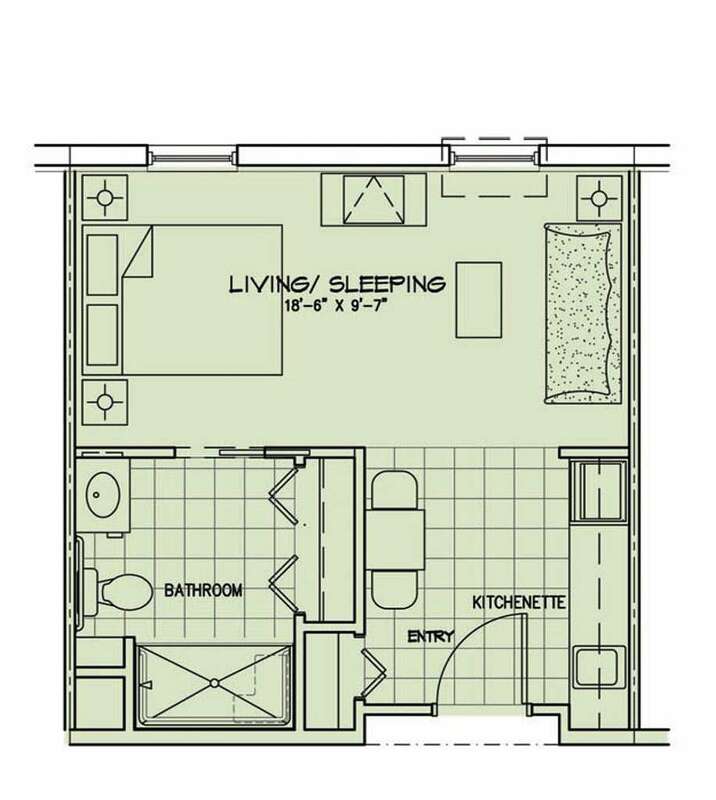 With 312 square feet of living space, this one bedroom studio suite has everything you need. 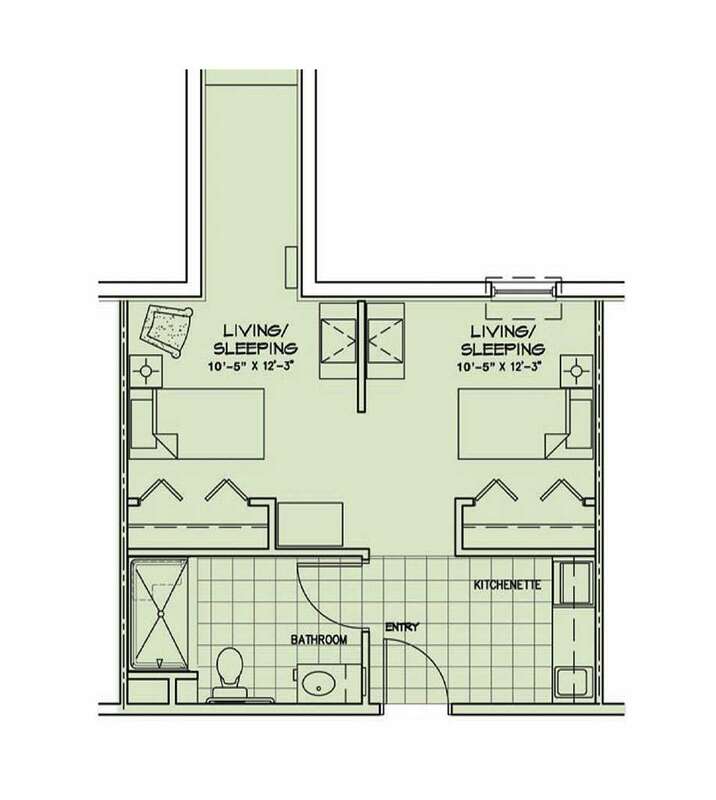 It comes complete with its own kitchenette, bathroom with walk-in bathtub and handrails, and combined living and sleeping area for maximum comfort. 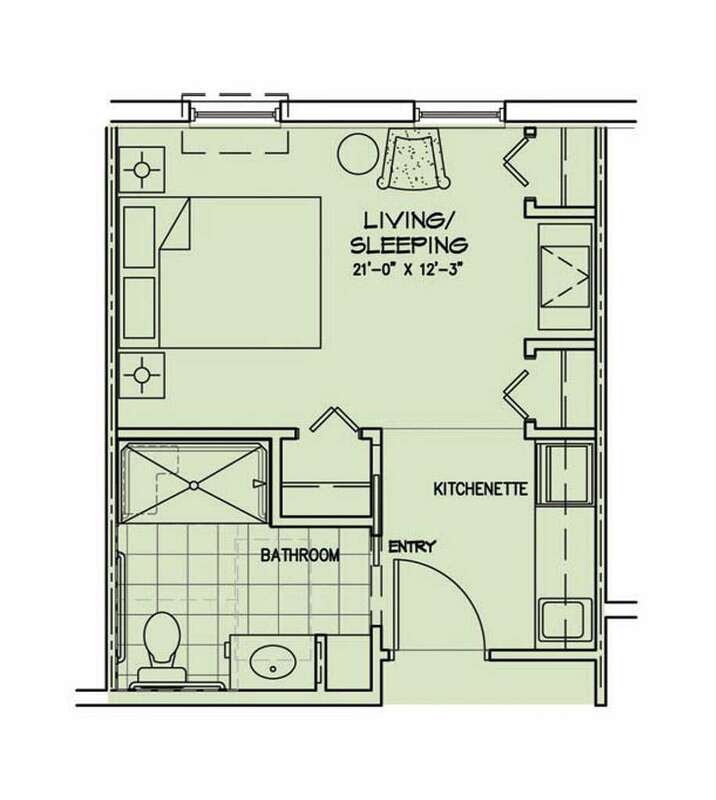 This quaint one bedroom studio suite is 377 square feet of cozy living space. It had a kitchenette, bathroom with walk-in bathtub and handrails, and a combined living and sleeping area.This suite has all the amenities of home in just the right amount of space. 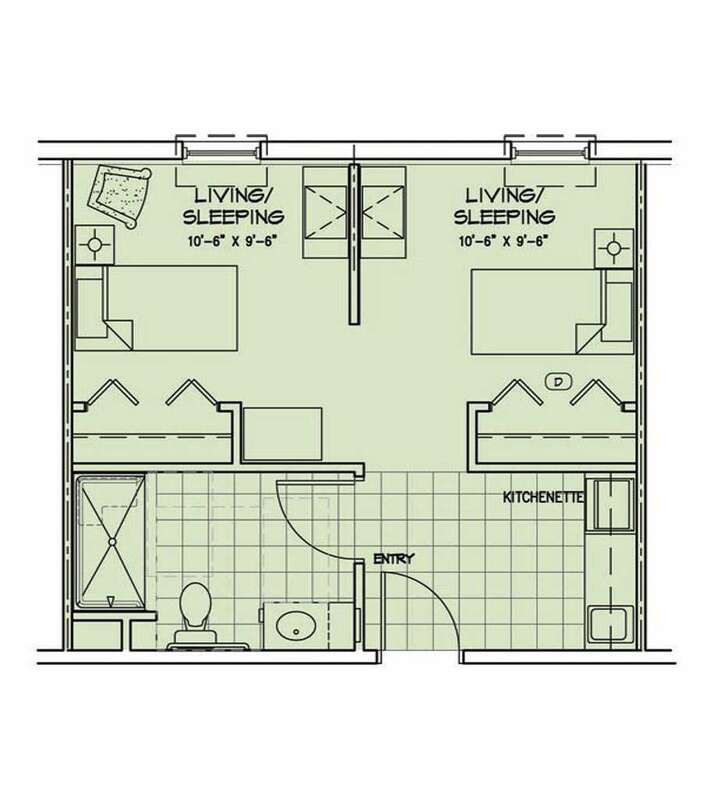 This alcove suite is 370 square feet and comes complete with a kitchenette, bathroom with walk-in tub and handrails, and a combined living and sleeping area. It’s just the right size for one! There’s plenty of room for family and friends in this 480 square feet alcove suite. It has a spacious kitchen area, combined living and sleeping area, and large bathroom with handrails and walk-in bathtub. 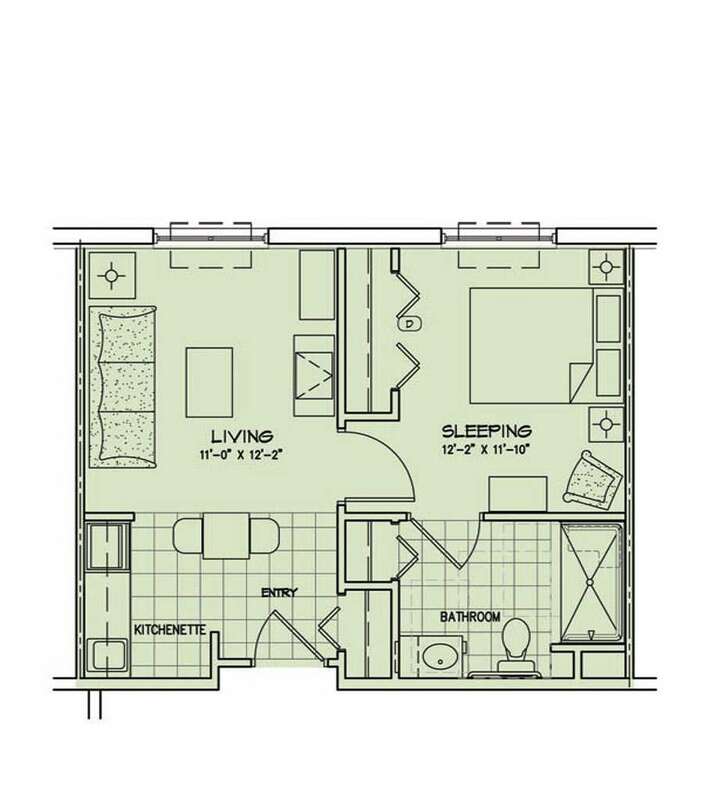 You’ll feel right at home in this 472 square feet, one bedroom suite. 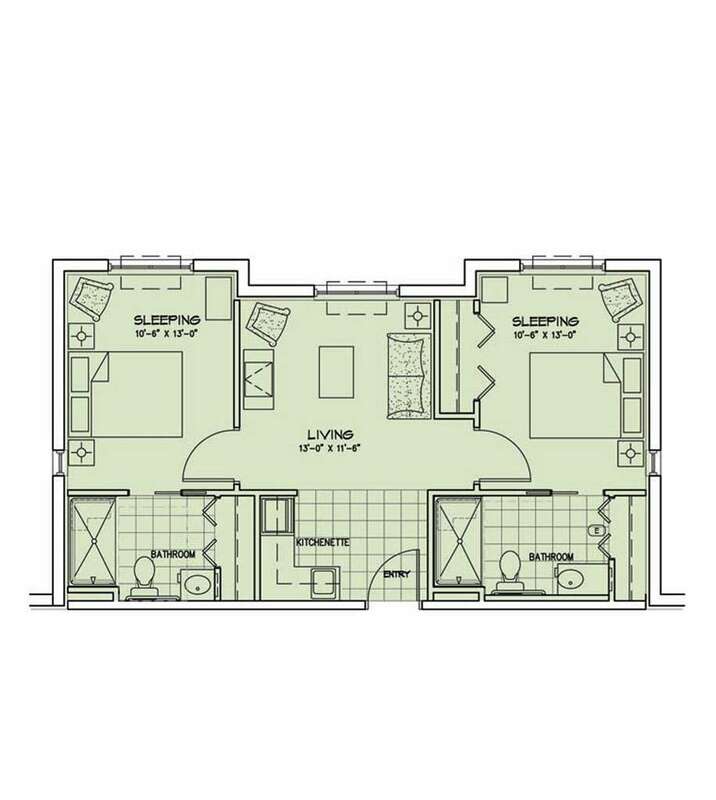 Designed like a roomy apartment, the suite has a large kitchen area, bedroom with ample closet space, a separate living area and bathroom with walk-in tub and handrails. 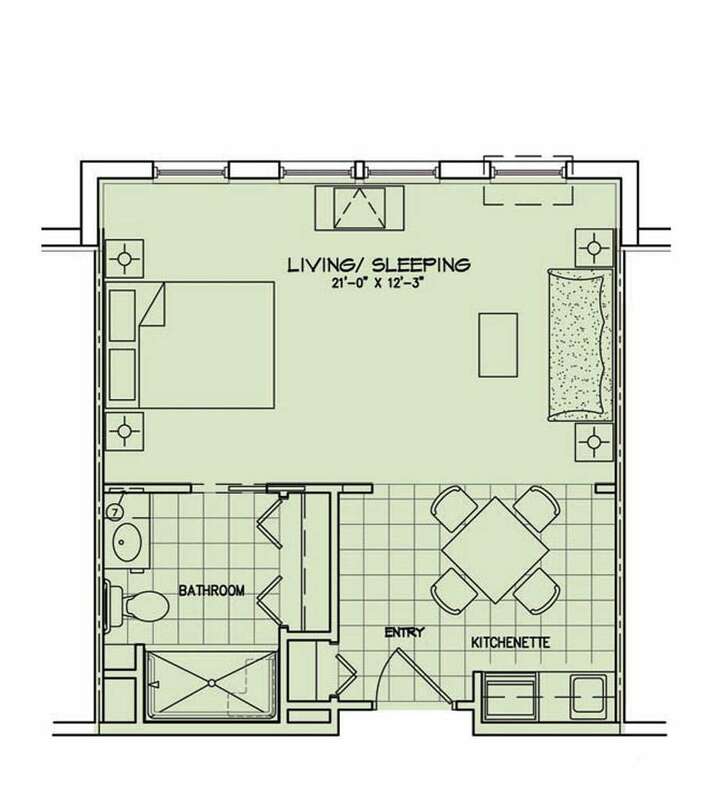 This two bedroom, 712 square foot suite has everything two residents need to enjoy living together while still maintaining privacy. This spacious suite comes complete with a shared kitchenette and living area, as well as two private bedrooms, each with its own bathroom with walk-in tub and handrails.